Motto: "Nothing worth having comes easy." When it comes to love, Taureans are all about honesty, which is why a first date with a Bull may resemble a job interview. They're not being rude-they're built for partnerships and are simply trying to see if you're a good fit at the start. And once you begin dating a Taurus, forget about white lies. A Taurus would much rather hear that an outfit is unflattering than endure hollow compliments. Taurus will hold a grudge against someone who lies, even if it's a lie just to make them feel happy. In bed, Taurus is a giving lover-as long as their partner steps it up and makes sure to give as well as receive pleasure! 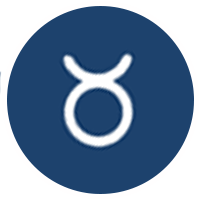 Detail-oriented Taurus may seem nitpicky (even in the bedroom, a mid-romp critique may not be unusual), but that's not because they want to offend. They simply demand the best, and they expect the people in their life to deliver. Willpower. Think of its symbol, the bull (or even a bulldozer), and you've got an idea of how Taurus gets things done. They push, roll over, and dominate whatever challenges they're facing until those challenges are history. They're also a model for perseverance-when a Bull decides to do something, they get it done. Taurus is one of the best lovers of the Zodiac. With careful attention to detail, Bulls always satisfy others-and know exactly how to satisfy themselves, too.